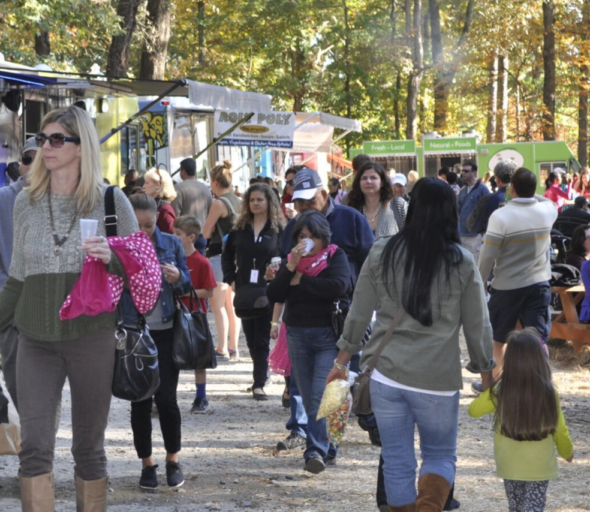 The eleventh annual Chastain Park Fall Arts Festival presented by The Atlanta Foundation For Public Spaces returns to  Chastain Park in Buckhead on Saturday, November 2 and Sunday,  November 3, 2019. Featuring more than 185 talented painters, photographers, sculptors,  leather and metal craft persons, glass blowers, jewelers and  more, the  festival will transform Chastain Park into an expansive outdoor art gallery. Festival goers are invited to view artist  demonstrations, participate  in hands-on art  activities and enjoy live acoustic performances while taking in breathtaking fall scenery. The  award-winning, two-day festival will also have a children’s area in the  adjacent green space, gourmet food trucks with healthy alternative, beverages and more. The festival is free to attend, open  to all ages, and dogs are welcome. For more information, visit http://chastainparkartsfestival.com or  www.affps.com.